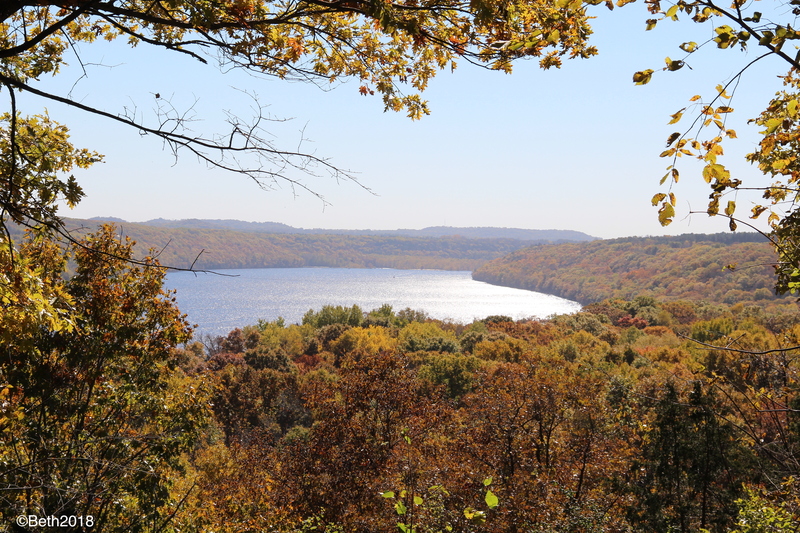 The St. Croix River Valley near Afton, MN. Being a lover of nature, this simple hymn became a favorite of mine the first time I heard it. The story is that in 1864, 29-year-old Folliot S. Pierpont was walking in the English countryside near the River Avon and was filled with joy by the beauty of creation. He composed a poem, originally titled “The Sacrifice of Praise,” that was set to music by Conrad Kochler (and later by others). There is such natural loveliness, both simple and complex, all around us. If possible, take a few minutes to notice nature every day — whether you live in a city apartment, or a house in the country; whether it is autumn-going-to-winter, or spring-going-to-summer in your part of the world; whether you can just look out a window at the moon and sky, or are able to walk in the woods. And, if possible, share it with a friend, child, parent, spouse, neighbor or other companion. I find that it makes for a grateful heart and a lighter outlook on life. Here are a few images of late autumn nature in Minnesota. What delights you in nature where you live? 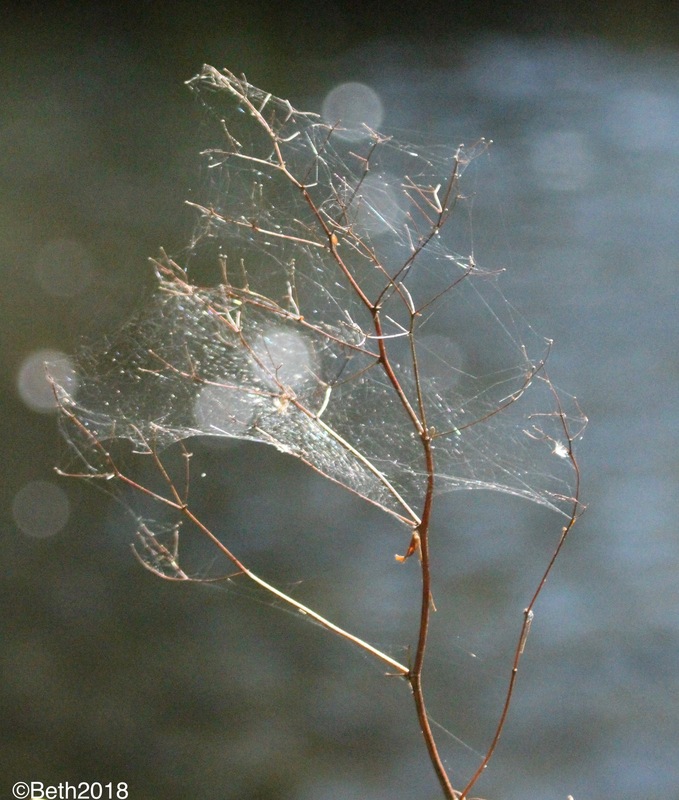 A spider web catches the sun on the bank of the Snake River in Pine County, MN. 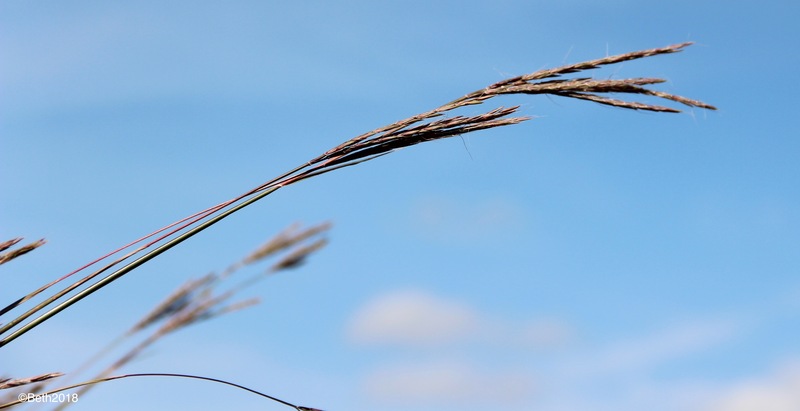 Prairie native big bluestem or turkey foot grass at Woodlake Nature Preserve in Minneapolis, MN. 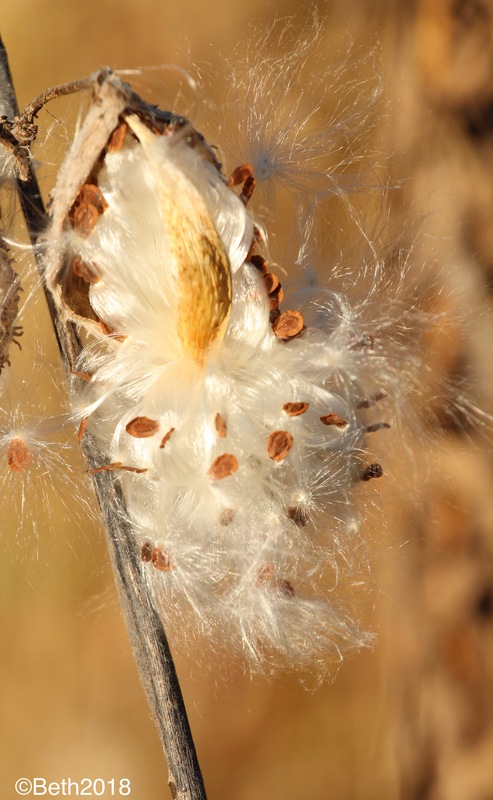 Milkweed seeds are abundant in late November. 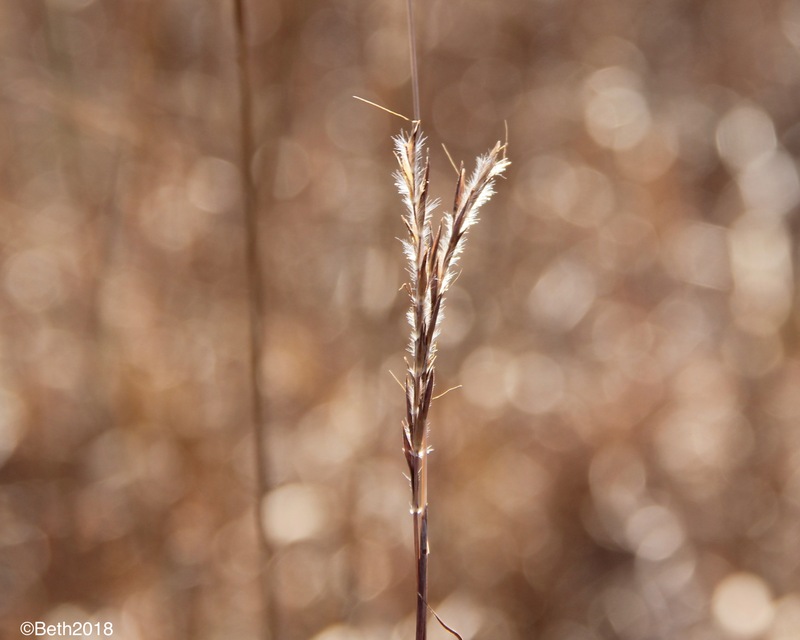 Late afternoon sun glows on prairie grass. 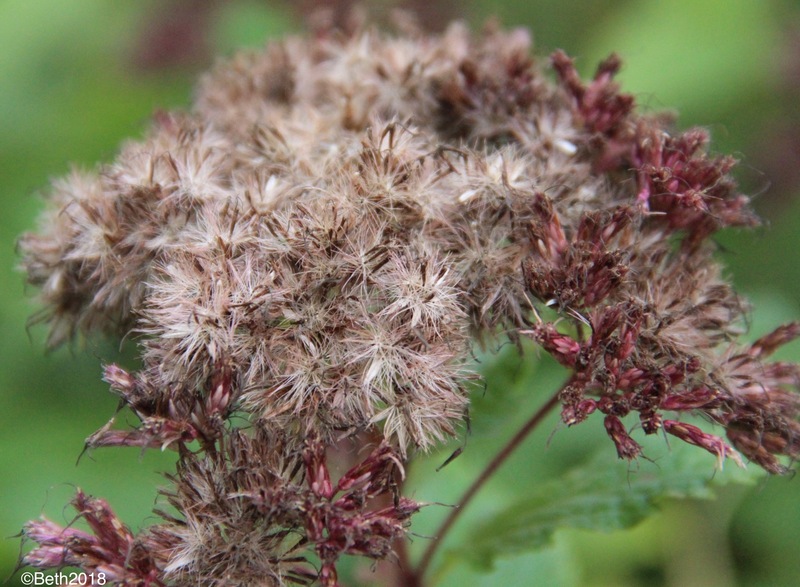 Pink-tinged seed heads of native Joe-Pye weed add color to gardens and prairies. 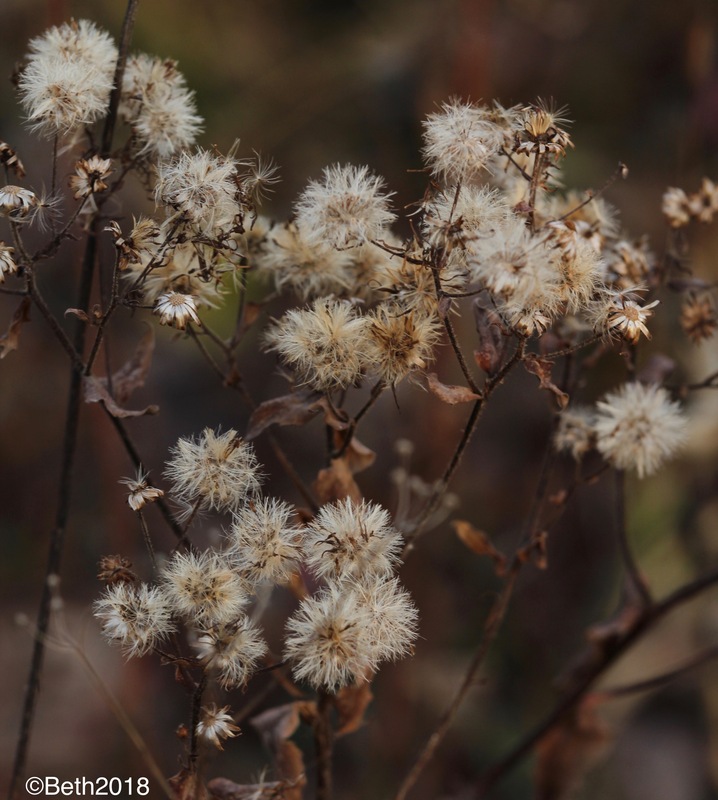 The soft seed heads of asters attract many birds, such as cardinals, goldfinches, chickadees and nuthatches. 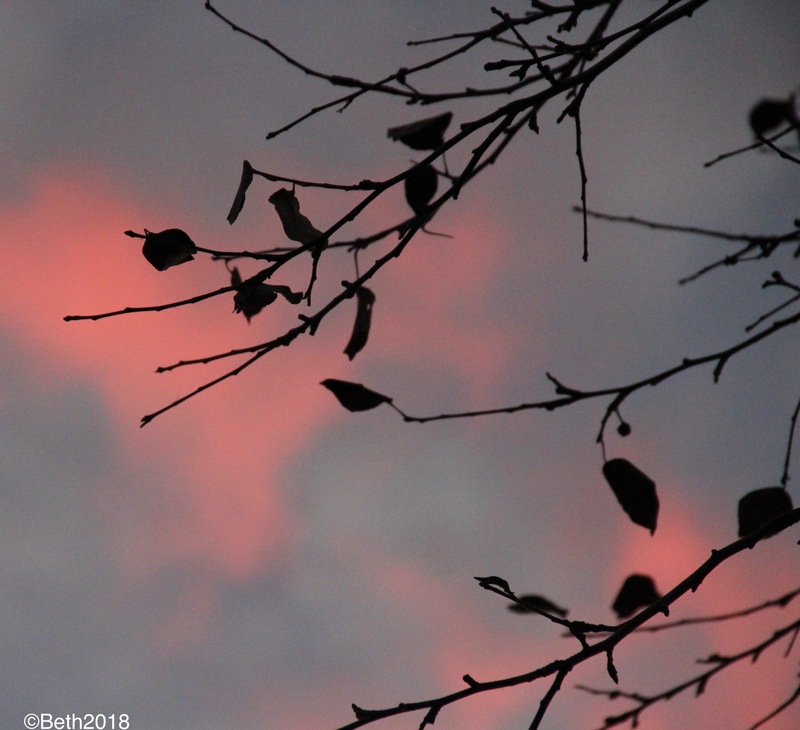 The sky’s beauty is more visible as the trees shed their leaves. Just a few apple leaves remain on our tree. This entry was posted in Autumn, Beauty, Gratitude, Nature Photography. Bookmark the permalink. Lovely, Beth. I always look forward to your posts. Linda, thanks for reading my blog and for your kind comments.